Seeing as its May the 4th we have been looking at some teambuilding ideas where you can treat your clients or colleagues to a new and unique experience. They are not quite out of this world (yet) but lots of different experiences and teambuilding activities are starting to take the UK by storm. 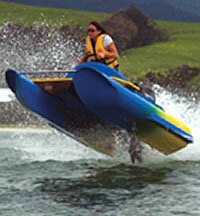 Zegos – This wet and wild watersport is native to New Zealand and is now starting to take of in this country. This lightwight personal watercraft was a cross between a jetski and a catamaran. The little zippy boat was great fun and was and easy to use / drive. It was able to tightly turn corners and it can accomodate two riders at a time. So for a small team building experience this would work well as you each get a chance to have fun behind the wheel or just ride as a co driver whilst imagining your on a sun drenched beach somewhere. Other experiences that are fairly unique but starting to become a lot more well known are the Rib treasure hunt which can take place down the Thames or across the solent. This is also wet and wild but you also get to enjoy the scenery in a unique and funky way. These are great fun and it will also test your knowledge and observation skills at the same time whilst being able to take part in some healthy competition. Now for the people that say not to work with animals or children how wrong can they be. 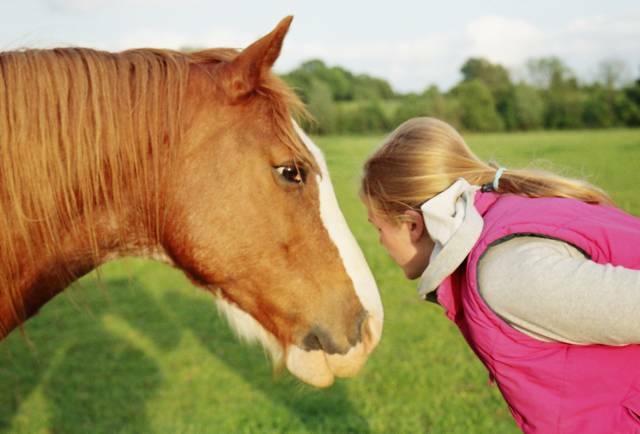 Horsewhispering is another hugely enjoyable and rewarding activity which sees you getting up close and personal with these magnificent creatures. As well as learning about the animals, you can also relate the techniques to work and business which mean that you can take this experience and put it into practice. There are so many other experiences that are out there and these vary from cocktail making, to becoming your own pop idol to zorbing and anything else in between. These are all a benefit to your company, your team morale and can fit within anybody’s budget. Gone are the run of the mill day’s out as the ever expanding ultimate team day takes shape . So the final question is What and where will your next team day be?